The new Hyundai Santro will be launched in India later in the day today. Hyundai has been accepting bookings for the hatchback since 10 October, 2018 for a sum of Rs 11,100. 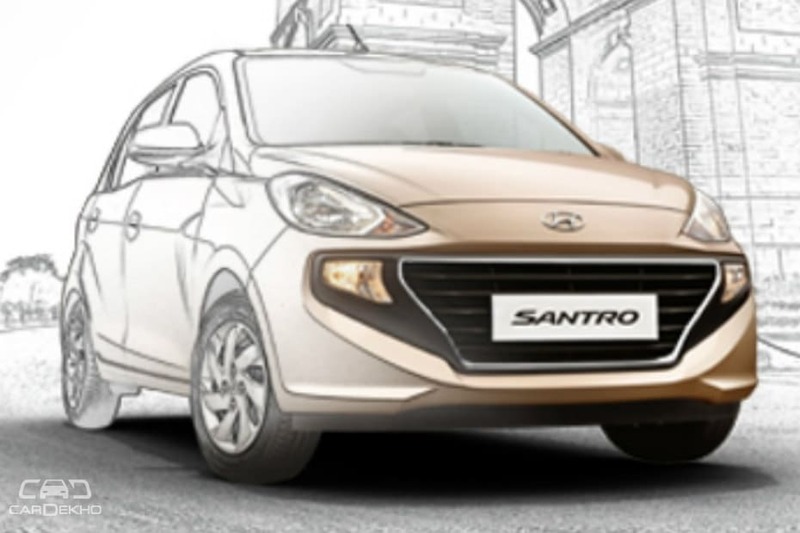 Hyundai has already confirmed engine, transmission and variants of the new Santro. There will be a new 1.1-litre petrol engine on offer. This engine will make 69PS of maximum power and 99Nm of peak torque. Power will be sent to the front wheels via a five-speed manual transmission. There will also be a factory-fitted CNG version on offer right from day one. It will be powered by the same engine, but output of the CNG version will be less -- 59PS. The Santro CNG will be available with a manual transmission only, and in Magna and Sportz variants. The Santro will be the first Hyundai in India to sport an AMT. The 5-speed AMT will be on offer on 2 variants - Magna and Sportz. AMT will not be available in top-spec Santro to start with. In all, there will be 5 variants on offer -- Dlite, Era, Magna, Sportz and Asta. The Santro is expected to come with a few segment first features. The most important of the lot will be the 7-inch touchscreen infotainment system that support Apple CarPlay and Android Auto. Knowing Hyundai, we can expect the unit to feel premium and be easy to use. Other segment first’s will be, a rear view parking camera and rear AC vents. Hyundai has already revealed that the Santro will get ABS and driver-side airbag as standard features. Prices for the new Santro are expected to start from Rs 3.75 lakh. We expect the top-spec Santro to cost over Rs 5 lakh. Check out expected prices of all variants of the Santro in our detailed report here. In Hyundai’s India line-up, the Santro will slot in right between the Eon and Grand i10. It will go up against the Maruti Suzuki Celerio, WagonR, Renault Kwid, Tata Tiago and Datsun GO.